After showing you my green Christmas wishlist, I wanna give Santa another chance with another color I love...red ! Let me know if you would also like something from this wishlist ;). Have you completed all your Christmas shopping already ? I haven't been able to do it yet, therefore this weekend is gonna be totally crazy, because I ran out of time ! Wish me luck :-P.
Dopo avervi mostrato la mia wishlist verde di Natale, voglio dare un'altra possibilità a Babbo Natale con un altro colore che amo...il rosso ! 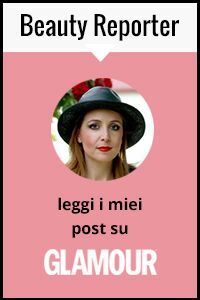 Fatemi sapere se qualcosa tra queste potrebbe interessare anche voi ;). Siete riuscite a completare tutti gli acquisti di Natale ? Io non ancora, il che significa che il weekend sarà un delirio...auguratemi buona fortuna :-P ! Reminder: Sheinside Christmas Giveaway ! 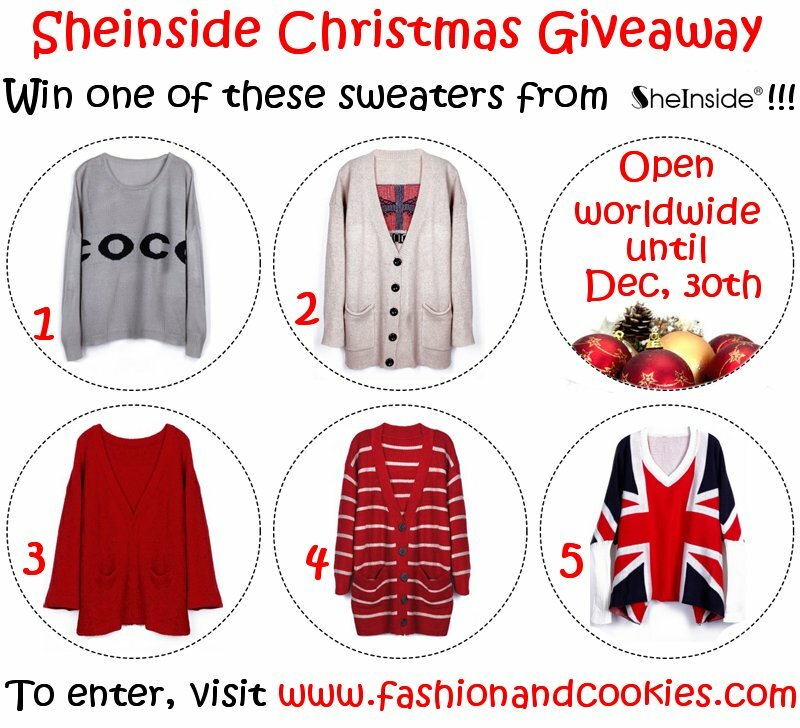 Let me remind you that thanks to Sheinside and Fashion and Cookies a lucky winner can win a sweater of choice among the five different ones you can see in the poster !. This international Giveaway is open until December 30th, you need to fill in the Rafflecopter form you can find clicking here ;-). Loving your red wishlist! That maxi skirt is beautiful! il rosso è un colore che tendo a sottovalutare...ma decisamente bello! Love the second group of red clothes! Especially the purse! I never really liked red until recently, but nowi'm falling in love! Especially loving that hat and vest!!! Favorite Things Gift Box Giveaway worth $125! la gonna a balze rossa è top! Oh, those IM shoes and that Alexander McQueen dress, would make for my perfect NYE outfit! Adoro la prima selezione che hai fatto!! Adoro la gonna lunga e le scarpe del secondo look! The boots in the red passion wishlist are amazing! Ottime selezioni (: Reb, xoxo. Love those boots in the first image! Amazing. I absolutely adore red this time of year! I think I need more! That McQueen dress is gorgeous, and of course the Louboutins! se mai dovessi partecipare a un cocktail natalizio o di capodanno andrei con l'abitino di mcquenn è una meraviglia!!! Il vestito di McQueen e gli accessori di Valentino sono gia' di per se' una festa...e che festa!!! wow i love red too!! The red dress and the shoes are amazing !!! Love red too, especially this time of year. Those IM boots are incredible! Those are some lovely red pieces. I love the dress in the last photo set :) Such embroidery detail on the front. Red is such a gorgeous color. Love these looks. In the first two pictures both times #4 is my fave.